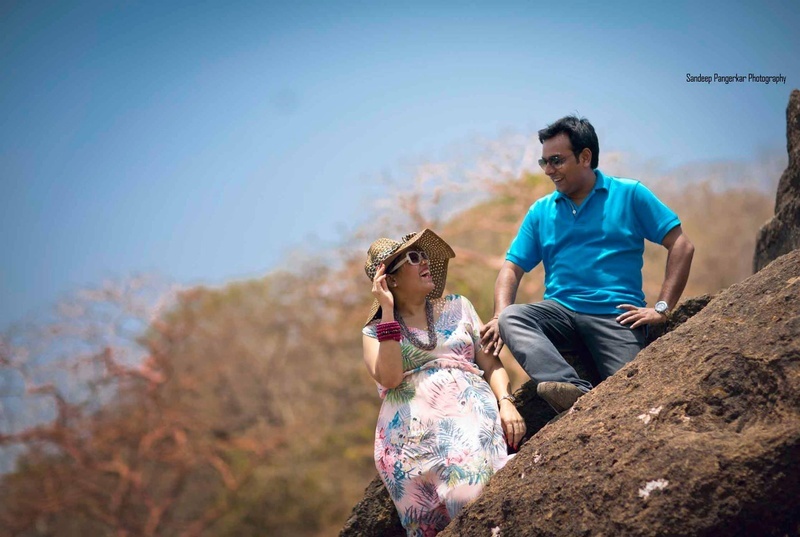 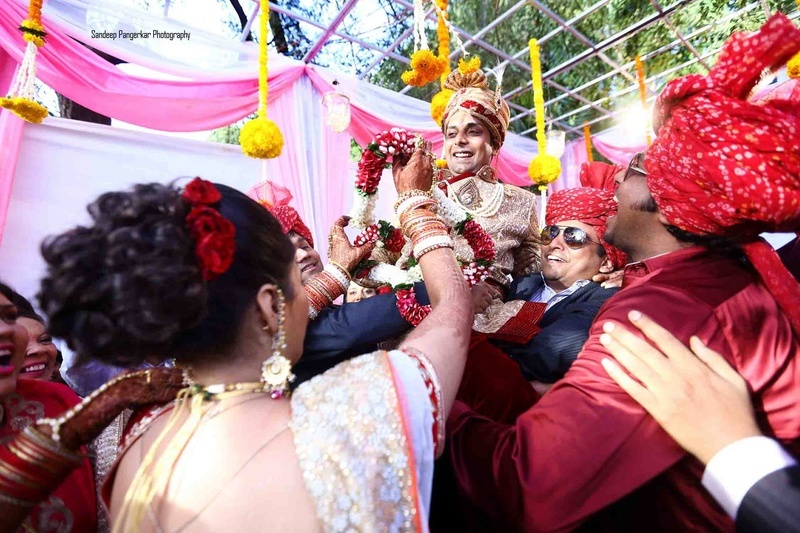 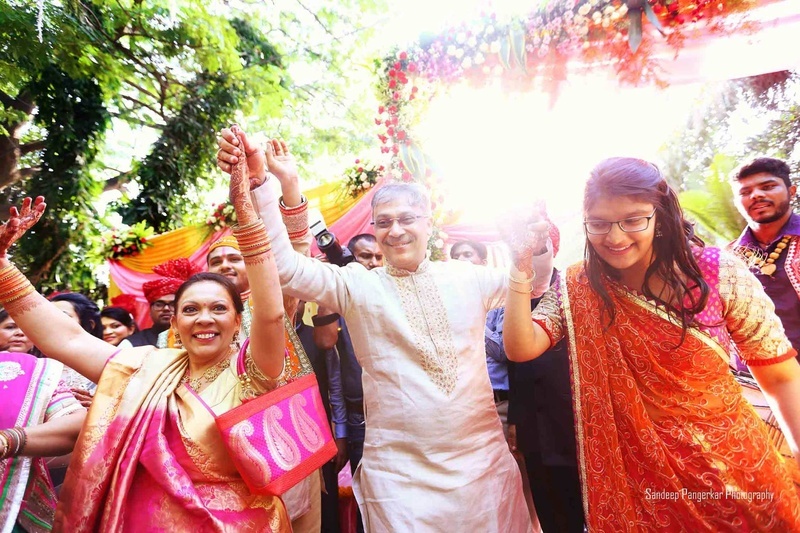 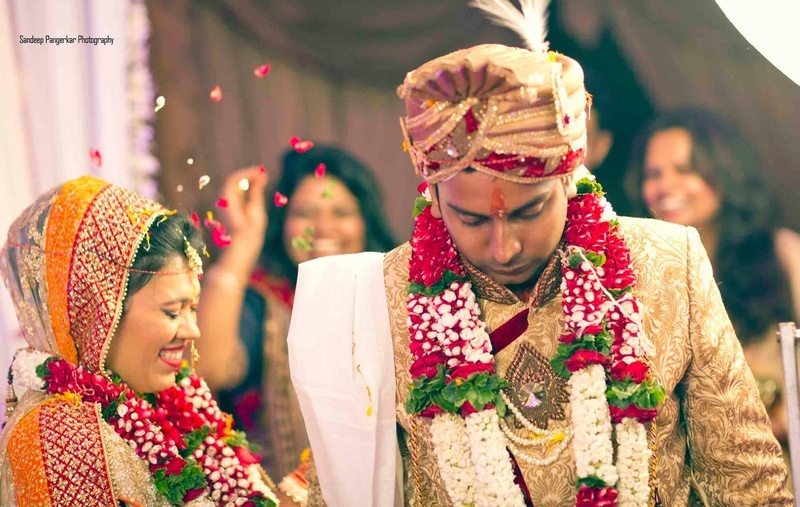 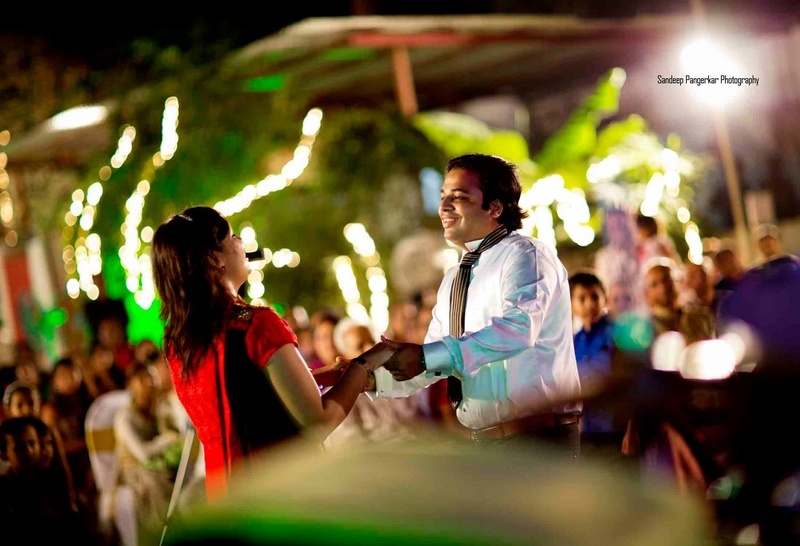 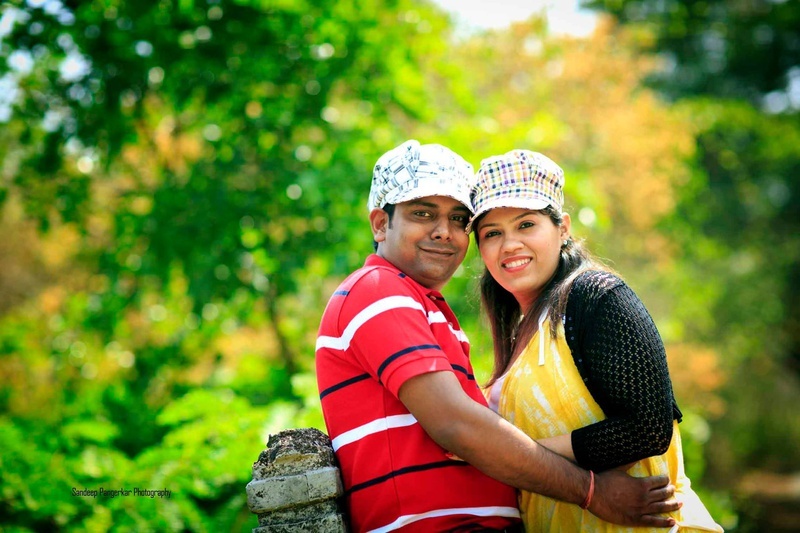 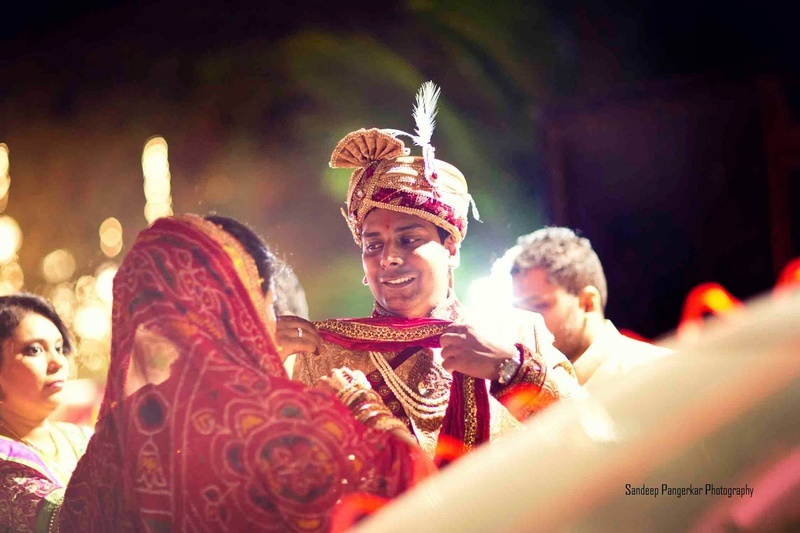 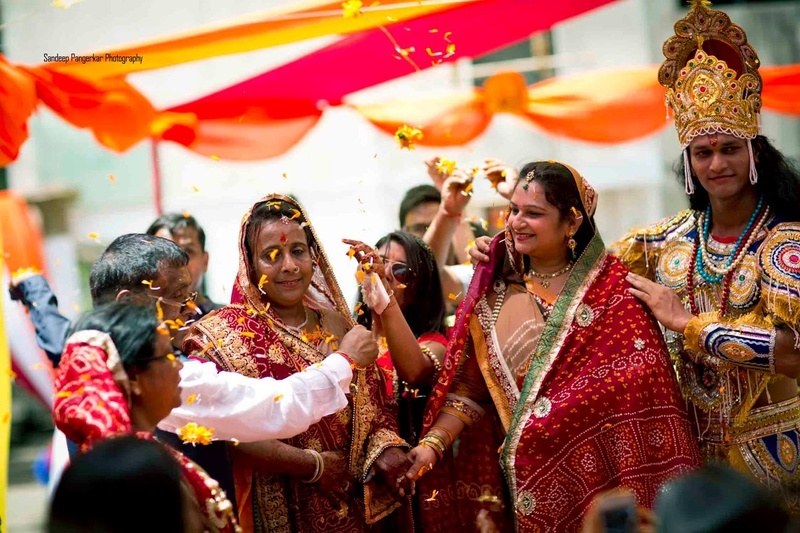 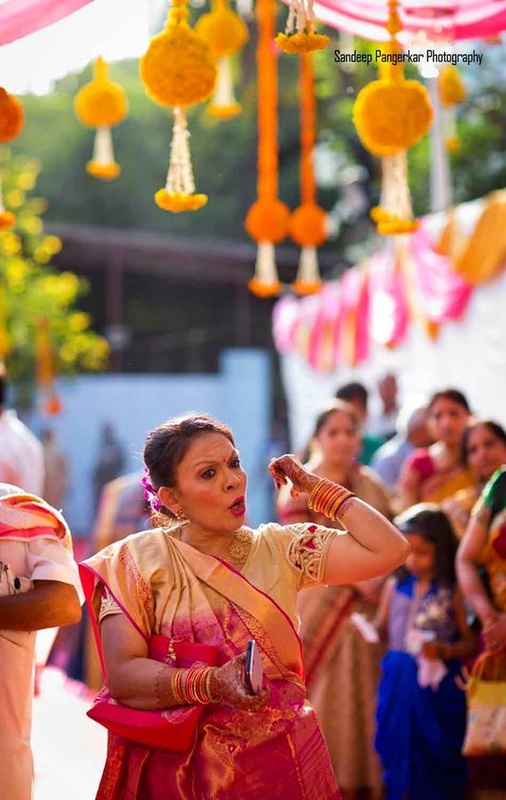 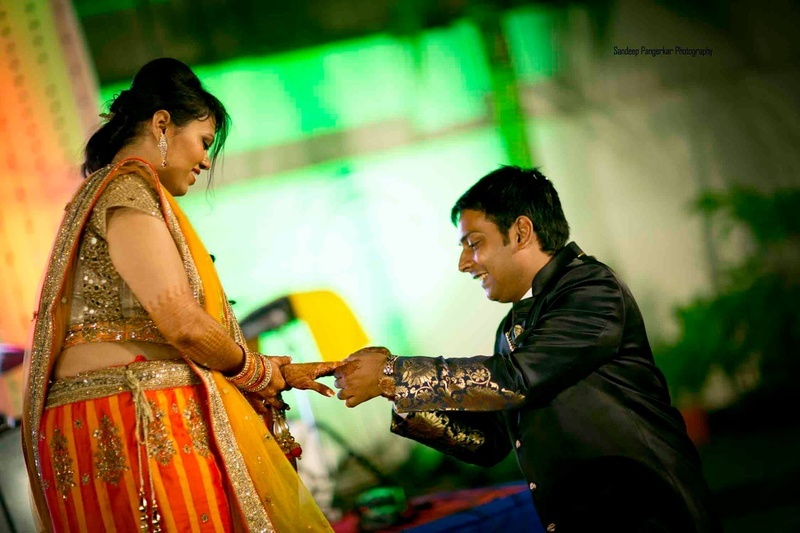 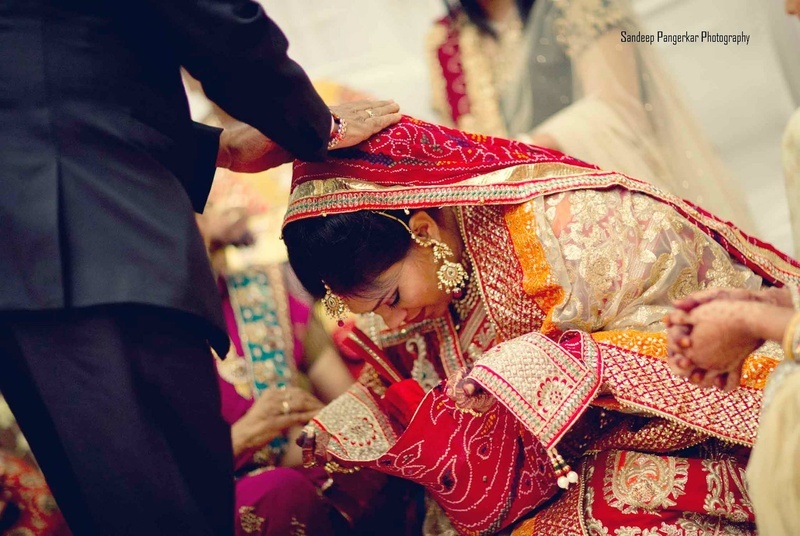 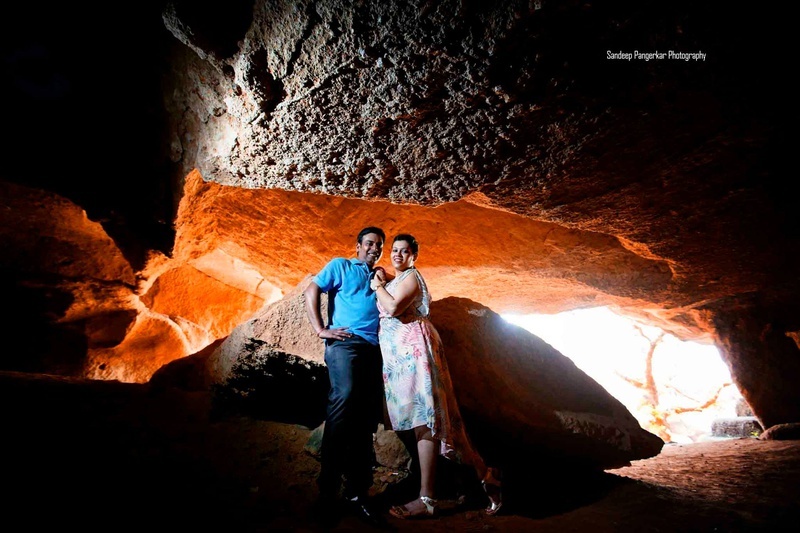 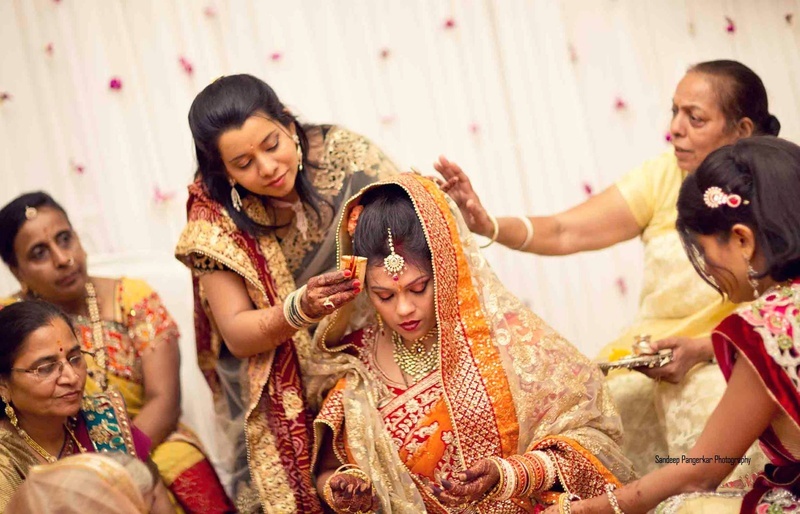 Suchit and Paryanka’s wedding showcases various range of emotions that you witness during a traditional Indian marriage. 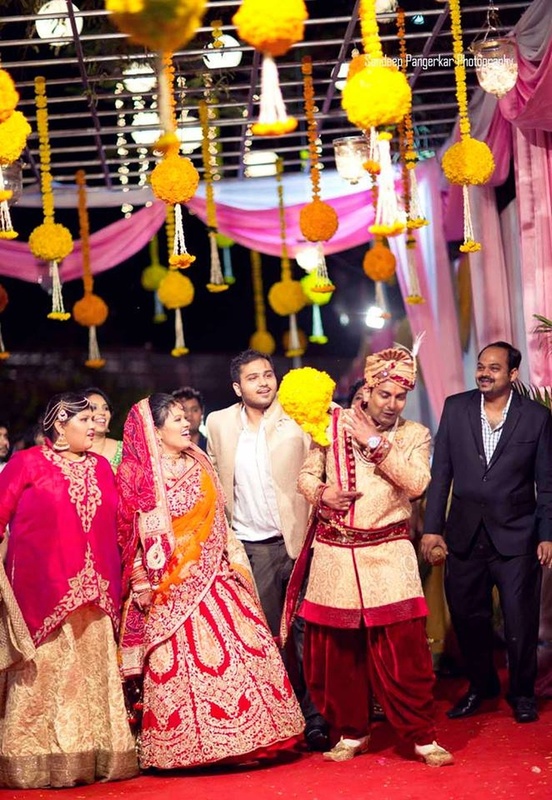 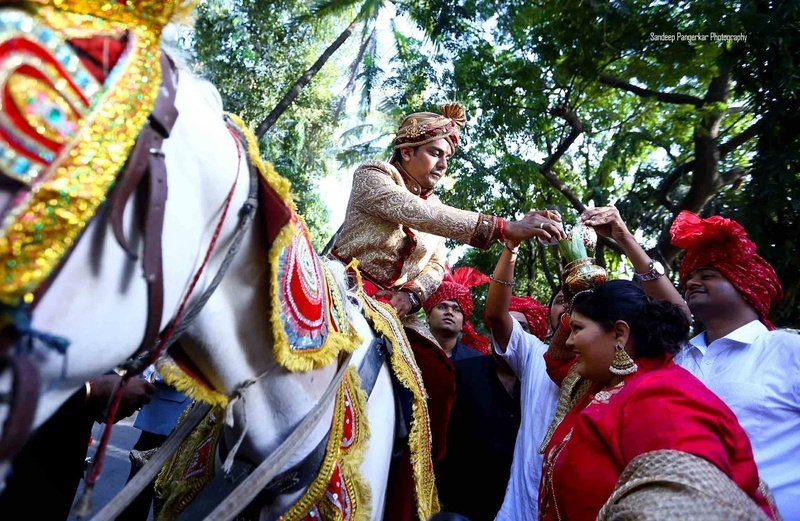 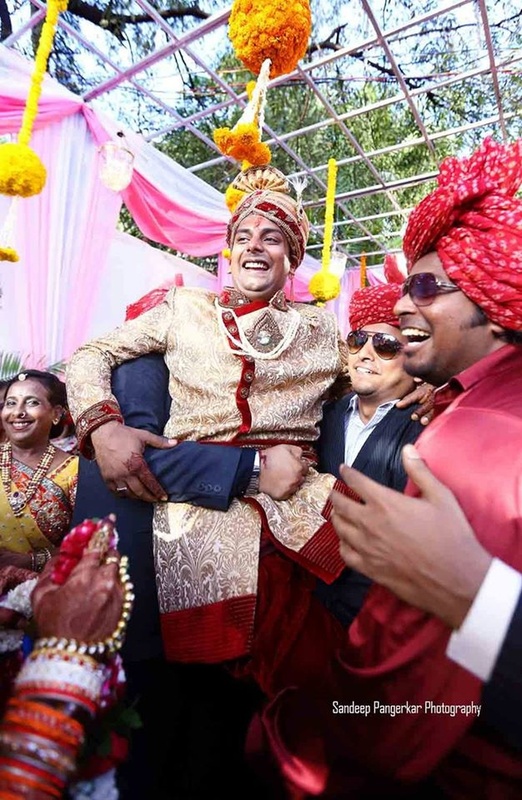 The marriage begins with the Baraat Ceremony, where we see the groom arriving on a horse, dressed like a Maharaja. 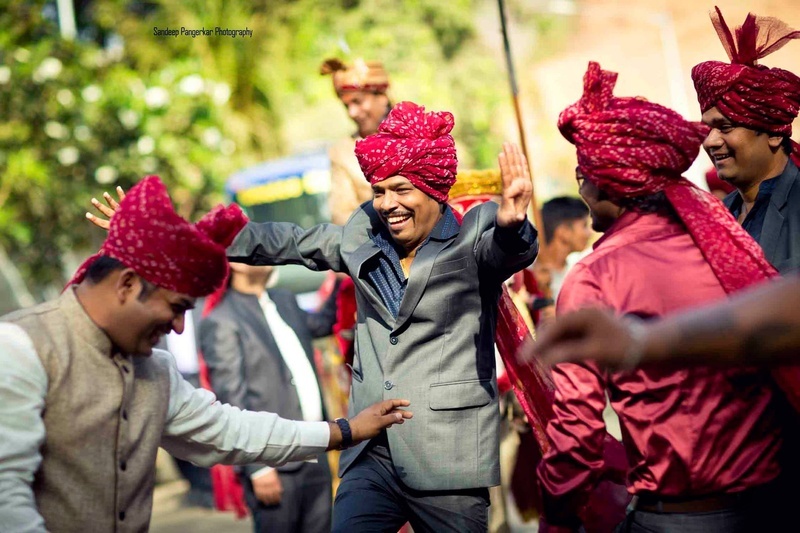 He wore a rich shervani with cross and unconventional buttons on the attire, accessorized with a moti haar and a royal feathered safa. 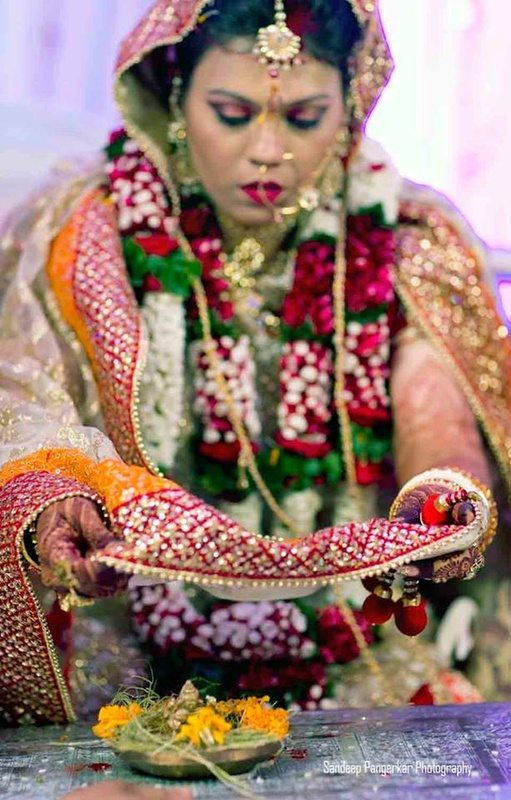 Keeping a big chunri with mirror and a floral work over her head at all times, bride was dressed at her ethnic best. 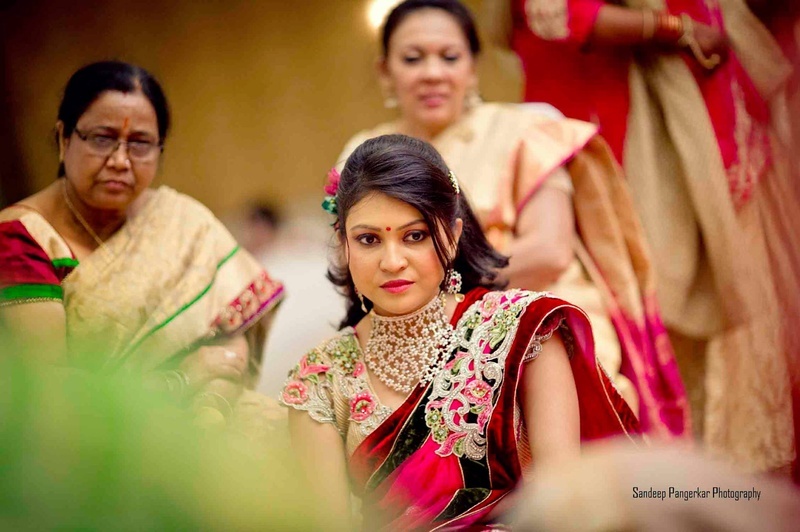 Customized purse matching to the outfit.